There is an amazing piece of art by Juan Osborne. It is not a painting, but a picture created by writing the words of Jesus with shaded letters. The letters are drawn, some thick and some thin so that they bring out a picture of Christ. The figure of Christ is not imposed onto the words, the words reveal the picture of Christ as they are inked - light and dark - to bring out the portrait of Christ. The words have become flesh, a person, so to speak. This is the great truth that sets Christianity apart from all of the other religions. Our God has not remained remote and unapproachable; He has come to us in person. He did not just write us a letter. He did not just send us a representative. He did not just speak His laws from a mountain. He came to us as one of us. The Infinite became an infant. The Eternal One became a wee one. Phil 2:6-8 Who, being in very nature God, did not consider equality with God something to be grasped, but made himself nothing, taking the very nature of a servant, being made in human likeness. And being found in appearance as a man, he humbled himself and became obedient to death-- even death on a cross! It is impossible to overemphasize how important God’s arrival on earth was. I only have time to highlight 3 points. First, the incarnation (God’s coming in human form) reveals the heart of God. God hates sin and has no fellowship with those in sin. All who persist in sin will be cast from His presence forever into Hell. So why did He come? John 3:16-17 "For God so loved the world that he gave his one and only Son, that whoever believes in him shall not perish but have eternal life. For God did not send his Son into the world to condemn the world, but to save the world through him. God created us to have an intimate love relationship with Him, but that is impossible since we are sinners—His enemies. Therefore, while we were still God’s enemies, He chose to save us from our sin, to change us, and give us a life worth living that will ultimately result in eternal life with Him. God wants all men to be saved, but love requires that men have a free will to choose salvation and to love God in return. This is the kind of God we serve. He loves us more than we will ever know. He has not come to take the fun out of life, but to make life more enjoyable in ways that we never imagined. How much easier it would have been for God to justly rain fire down from heaven and destroy us for our sin. Someday He will destroy all He has created, but not until the day He has appointed comes and all mankind has had their opportunity to be saved. Then the Judgment will come. God is not hostile toward us. He never was and never intended to become so. We became hostile toward God. Neither did He become distant—we made ourselves distant from Him; we became comfortable with a God who seemed distant. We liked our independence and preferred to make our own rules. We didn’t heed the warnings that our rebellion was condemning us to Hell—we just declared that Hell didn’t exist. So God broke into the world and disturbed our comfort and our religion. When He came in person, it made us uncomfortable. He was invading our space and getting too close. He was interfering with our religion, how we thought the Messiah should be, and how we wanted to live our lives. He was a novelty at first, but then we decided we would be better off if we considered Him a fraud got rid of Him. Not much has changed in 2000 years. But God came, even though He knew the consequences. He was willing to come even if it meant that the Almighty and Eternal One had to experience pain and death—so great was His love for us. Jesus came so that He might share the human condition and take our burdens upon Himself. In a similar fashion, Jesus Christ is our elder brother, who put on our shirt, experienced what we experience, walked where we walk, and eased the pain of life. In exchange, He says: Matt 11:29-30 Take my yoke upon you and learn from me, for I am gentle and humble in heart, and you will find rest for your souls. For my yoke is easy and my burden is light." Yes, God’s incarnation reveals the heart of God. But secondly, God’s coming in human form reveals the need of people. God sees our need, our danger, our damnation, and He rescues us. On March 5, 1994, Deputy Sheriff Lloyd Prescott was teaching a class for police officers in the Salt Lake City Library. During a break he stepped into the hallway, and as he did, he saw a gunman forcing 18 hostages into a nearby room. Prescott, who was dressed in street clothes, fell in line with the group and became the nineteenth hostage. The gunman had not noticed him, and Prescott followed them into the room. After the door was shut, the gunman announced the order in which hostages would be executed. Then Prescott identified himself as a police officer. A fight ensued, and Prescott, in self-defense, shot the gunman. All of the hostages were released unharmed. The officer placed himself at great risk, but he was not thinking of himself, he was thinking about the danger the hostages were in. Like Lloyd Prescott, God dressed himself as one of us and entered our world. He joined us because we are were hostage to sin and powerless to do anything about it. He rescued us from the penalty of death and eternal damnation. Imagine it! God, who could have crushed the world because of its sin, came into the world to be crushed for our sin! The very One who said that everyone who sinned would die, came to the world to die in our place! He both pronounced the judgment and took the judgment upon Himself! We did not even understand the danger we were in. We were too ignorant and stubborn to ask for His help, but He came to save us anyway. Rom. 5:6-8 You see, at just the right time, when we were still powerless, Christ died for the ungodly. Very rarely will anyone die for a righteous man, though for a good man someone might possibly dare to die. But God demonstrates his own love for us in this: While we were still sinners, Christ died for us. This is an incredible story of love. God’s incarnation revealed His heart and our need, but thirdly, God’s coming in human form reveals the mystery of God. 1Tim 3:16 Beyond all question, the mystery of godliness is great: He appeared in a body, was vindicated by the Spirit, was seen by angels, was preached among the nations, was believed on in the world, was taken up in glory. We have questions. Is there a god? What is God like? Who is God? If God exists, why is there all this suffering? Jesus came to answer all these mysterious questions. When words could not answer the mysteries of godliness, Jesus miraculously demonstrated the glory of God, proving He is God incarnate. Even now, after its revealing, God remains a mystery to those without faith. The Creator of the universe—the Word—Jesus—came to the rebellious world which He created in love. He avoided nothing: submission, obedience, temptation, hunger, thirst, sleeplessness, pain, suffering, and death. Jesus came to die in the place of those who deserve to die. He suffered for those who deserve to suffer. He came as a King, but was received as a blasphemer, a fraud. John 1:10-11 He was in the world, and though the world was made through him, the world did not recognize him. He came to that which was his own, but his own did not receive him. But here is the mystery which God revealed in the seemingly failed mission of His incarnation: The world deserved to be destroyed because of its sin, but God would come disguised as an ordinary man and die in the place of the world’s people in order to take away their sin. God had allowed animals to die as sacrifices for sin under the Old Covenant with the Jewish nation, but they were only temporary substitutes for the Lamb of God, who was to come, who would take away the sin of the whole world, once and for all—not just for the Jews, but for anyone who would believe! This Lamb of God would not be an animal, but a man who would die in our place, as our representative. But not just any man. Not even a priest. He had to be a perfect man. There was only one such man—the man Jesus Christ. Hanging on the cross, it appeared Jesus’ claims of divinity were false. He was mocked, “If you are the Son of God, save yourself, come down from the cross!” He could have. He had the power and authority, but He was thinking of us. He was also in complete control. No one took His life from Him, He gave it. He has the power to lay it down and to take it up, proving He is God—God over life and death. He proved He is God by His resurrection and His ascension! 1 John 1:1 That which was from the beginning, which we have heard, which we have seen with our eyes, which we have looked at and our hands have touched—this we proclaim concerning the Word of life. The Word of Life was made flesh. God became a real man so that He would experience what it was to be human, to be tempted in all the ways we are tempted—yet not sin, and to become our perfect sacrifice for the forgiveness of sin. But He was also fully human, for the Bible also says, Heb 4:15 For we do not have a high priest who is unable to sympathize with our weaknesses, but we have one who has been tempted in every way, just as we are—yet was without sin. When John says in his Gospel that “the Word became flesh,” he used the Greek word “logos” to say that this divine power became real flesh and blood, a living Word. If the Word was just words, then we would have the Scripture, but not a real person who could make the Scripture come alive. But this Word became flesh. He came out of the Word so that we would have more than a prophecy or a moral code, we would have God Himself among us—Emmanuel! Heb 2:17 For this reason he had to be made like his brothers in every way, in order that he might become a merciful and faithful high priest in service to God, and that he might make atonement for the sins of the people. What other religion do you know whose God comes in person to die for his people and be raised again? Buddha did not claim to be God, nor did he claim to have come from God. He was in search of the divine principle. Buddha died and remains dead—thus his word is just words. And neither did Mohammed claim to be God, only a prophet of God and author of the Koran. He died and remains dead—thus his word is just words. In all of the other world religions, their word is just words, writings, injunctions, and moral codes. In Jesus Christ, God did not just reveal His will or His laws in words, He revealed Himself. He laid His life down for the forgiveness of sin and raised it up again the third day. He is alive! He proved He is Eternal Life and the Living Word! As we read the Bible, we are not just acquiring knowledge. Jesus begins to emerge from the Scripture, much like He does in the picture by the Juan Osborne. Suddenly, we are reading more than words, we are experiencing a person. Something real is happening. More than our thinking is affected. We are touched and changed at the deepest place of our beings. It is not an idea (the Word) coming into our heads, it is a person communicating with another person. The Scriptures come alive, because the Word has become flesh. Jesus steps out of the pages and into our lives by His Spirit, the Holy Spirit, who abides in us and speaks to us, convicting us, changing us, whispering words of love, and preparing us to be the Bride of Christ. Through this intimacy, we come to know Jesus and we fall in love with Him. There is a story of a prince who was running an errand for his father one day in the local village. As he did so, he passed through a very poor section of the town. Looking through the window of his carriage, he saw a beautiful young peasant girl walking along the street. He could not get her out of his mind. So he continued to come to the town, day after day, just to see her and to feel as though he was near her. His heart yearned for her, but there was a problem. How could he develop a relationship with her? He could order her to marry him. It was in his power to do so. But he wanted this girl to love him from the heart, willingly. He could put on his royal garments and impress her with his regal entourage, and drive up to her front door with soldiers and a carriage drawn by six horses. But if he did this, he would never be certain that the girl loved him or was simply overwhelmed with his power, position, and wealth. The prince came up with another solution. As you may have guessed, he gave up his kingly robe and symbols of power and privilege. He moved into the village dressed only as a peasant. He lived among the people, shared their interests and concerns, and talked their language. In time, the young peasant girl grew to know him, and then to love him. This is what Jesus has done for us. The Word became flesh. The King of heaven put aside his heavenly robes and divine privileges. He humbled Himself and came to us as one of us. He lived among us; ate with us; drank with us; felt with us—all to win our love. He could have forced us. He could have overwhelmed us, but He chose to love us. 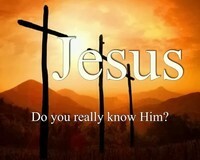 Jesus is God, who became real so that we could get to know Him, love Him, and experience His transforming love. Jesus is not just a truth or words to believe in, He is a person to be loved. 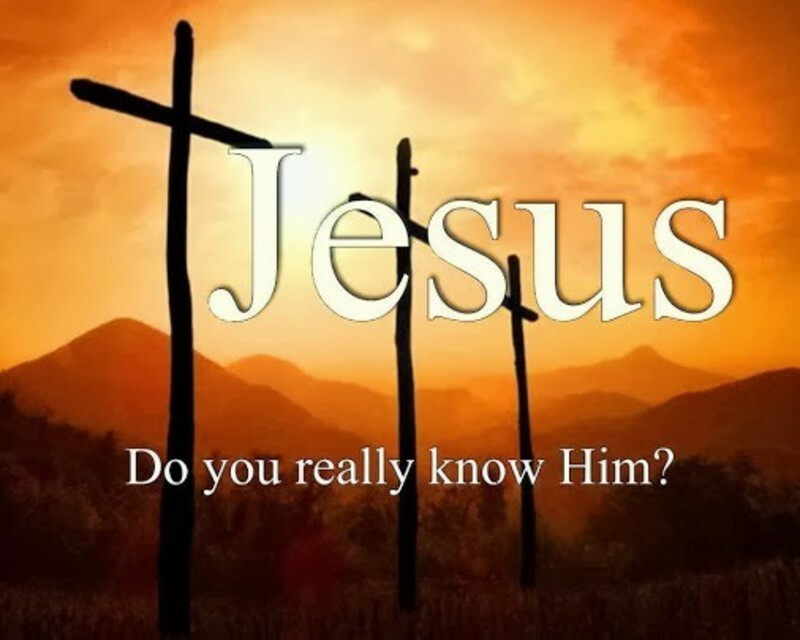 Do you have an intimate love relationship with Jesus Christ? Do you even know Him? If you would like to experience the reality of Jesus Christ, then believe His Word—that He came to die for your sin so you may have eternal life in Heaven. Repent of being your own lord. Repent of your sinful life and make Jesus your Lord and Master. Obey Him in baptism, receive His forgiveness, and you will be born again of the Holy Spirit. The Holy Spirit will make Jesus real and alive to you. Jesus chose to be born in this world so that He might be the firstborn of many children of God. If you want to become a privileged child of God, a co-heir with Christ, then come forward and declare your faith.